I made this for another forum contest. The theme was anime, so I had to pick a fanart piece. 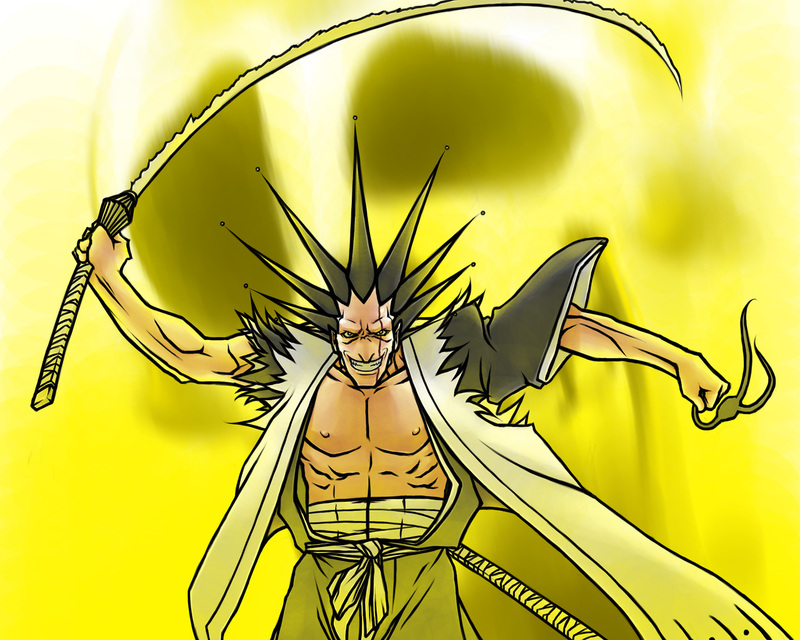 Zaraki is easily my favorite Bleach captain. I like his philosophy very much. Notice how shinigami spend most of their time fighting; and if you're going to do that, you better damn well like it, or it's going to be difficult. I also like how he's always calm and collected in battle. Cool! ^^ Are you from Sweden? YAAAAAAY I like that guy!!!!! ^^ I just finished the volume where he and Ichigo, like, almost killed each other, actually. XP WHAT?! YORUICHI'S A GIRL?!?!?!?!?!?!?!?!?!?!?!?!?!?!?! ?